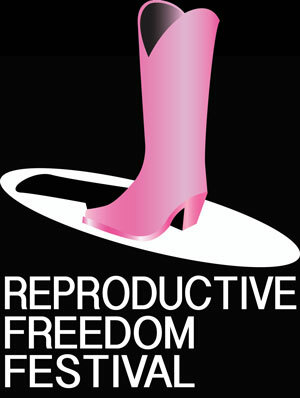 The first Reproductive Freedom Festival will be March 20 at The TACT Studio in New York City. The festival features 25 new theatrical works about the past, present and timeless nature of reproductive rights from an individual perspective. This live performance is largely sold out, and so the festival is partnering with the premier arts streaming organization in the nation, VirtualArts.TV, to live stream the event. Live chat and tweeting will allow the Internet audience to share the experience with those in the theater. The live stream begins at 6 pm EST and is free of charge. The evening runs three hours and the performances are presented in half-hour segments. They are: HEROINES 6 pm – 6:30 pm, NEXT GENERATIONS 6:30 pm – 7 pm, CONFLICTS 7 pm – 7:30 pm, BODY POLITICS 7:30 pm – 8 pm, DISCOVERIES 8 pm – 8:30 pm, and WHAT WE KNOW 8:30 pm – 9 pm (all EST). Music, electronic art and interviews will interlace the half-hour performances. There will be a 5:30 (EST) performance on specific concerns in Ireland. Following on the heels of the Supreme Court hearing in Whole Women’s Health v. Hellerstadt, the most important abortion case in more than a decade, writers are speaking out about this important issue. At a time when reproductive rights are under constant threat from opposing forces, the Reproductive Freedom Festival uses the power of the arts as a potent reminder of what is at stake: bodily autonomy and full equality for all. Playwrights from seven countries and 20 states submitted work for inclusion in the festival. The selected pieces represent an exciting worldviews of this important issue. Under the guidance of artistic consultant Stacey Linnartz, writers in the festival include Yvette Heyliger, Allie Costa, Grisel Acosta, Winter Miller, Ave-Maria Cross and Marge Piercy. “This is where arts meet activism with drama, humor and inspiration,” said Cindy Cooper, of Words of Choice, producer.